How do I know how much tax to put aside? Our software will take care of this for you. 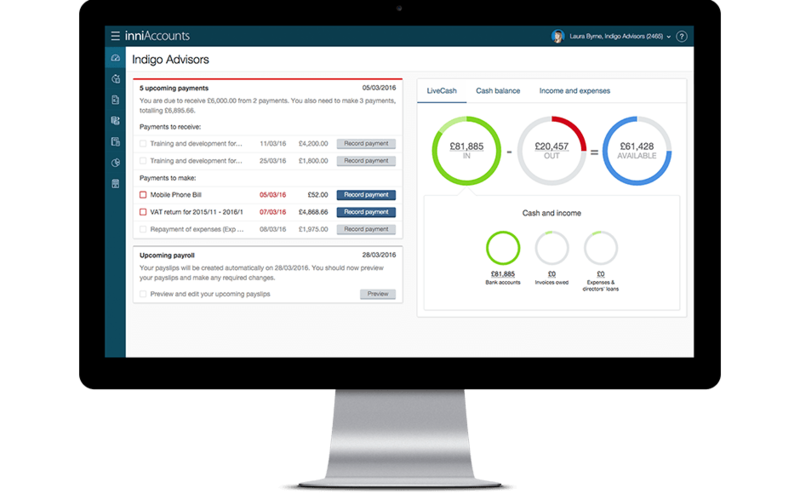 Your personal LiveCash report shows you exactly how much money has been kept to one side to meet your liabilities. When you pay out company profits via dividends you are shown how much profit and cash your company has available, so you can be confident that you have enough money set aside to meet your tax liabilities.